The City of Encinitas and its residents value the importance of nature and open space. 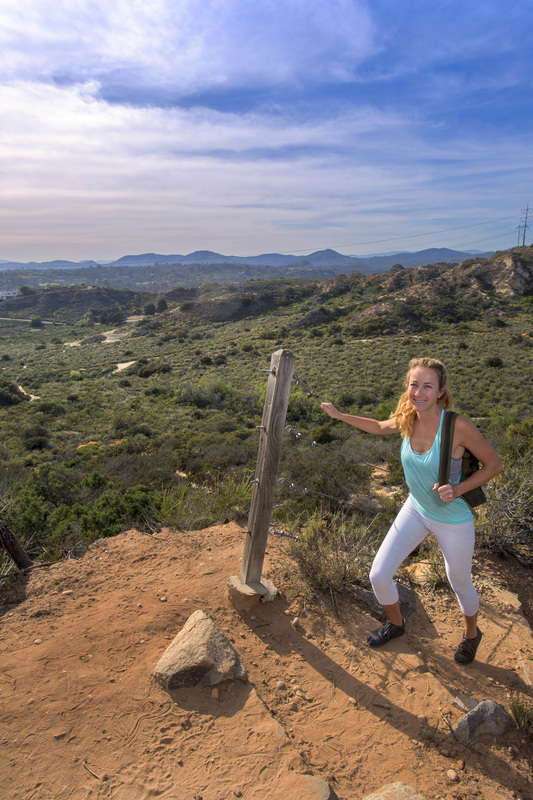 Encinitas boasts abundant opportunities to get outdoors and enjoy a hike or some quiet time in nature. The Parks, Recreation and Cultural Arts Department is responsible for 85 acres of open space and 40 miles of trails. The City's Recreational Trails Master Plan includes plans to develop an additional 40 miles of trails and pedestrian connections throughout the City. City trails provide pedestrian, bicycle and/or equestrian access to undeveloped open spaces such as Indian Head Canyon and Manchester Preserve. The Olivenhain community enjoys an extensive network of trails relative to other parts of the City. The Encinitas Ranch Specific Plan area has a great trail system as well. The San Elijo Lagoon Ecological Reserve includes approximately five miles of trails managed by the County of San Diego, which serve City residents and visitors. The City of Encinitas’ 40-plus miles of trails are meant to be enjoyed and shared with other humans, with their dogs and horses, and with the creatures who inhabit the surrounding natural environment. Motorized vehicles are not permitted on any trail. Most trails are open to hikers (also joggers, walkers and runners with jogging strollers), bicyclists and equestrians. Unless otherwise noted, all trails are open to all three user groups. Olivenhain trails attract the greatest diversity of users. Horses are not permitted on the Manchester Preserve Trail, which is owned by the Center for Natural Lands Management and operated by the City of Encinitas. Bicyclists are not permitted on some of the Encinitas Ranch Trails. Slow down when approaching equestrians. Some cyclists are going at a high speed and may not see the horse and rider until they are upon them. Ask the equestrian how to safely approach and how to pass. The rider knows how the horse will react and an accident can be avoided. Yield priority to the equestrian to pass, then proceed. 7. Please follow the trail courtesy signs- generally, cyclists yield to all other trail users and hikers yield to equestrians. Please obey all posted rules and regulations on trails and open space areas. Enjoy!